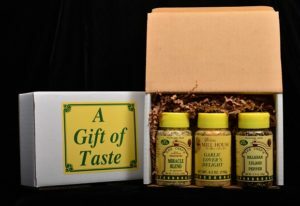 The perfect gift for anyone who either loves our products, or is not so familiar with them! 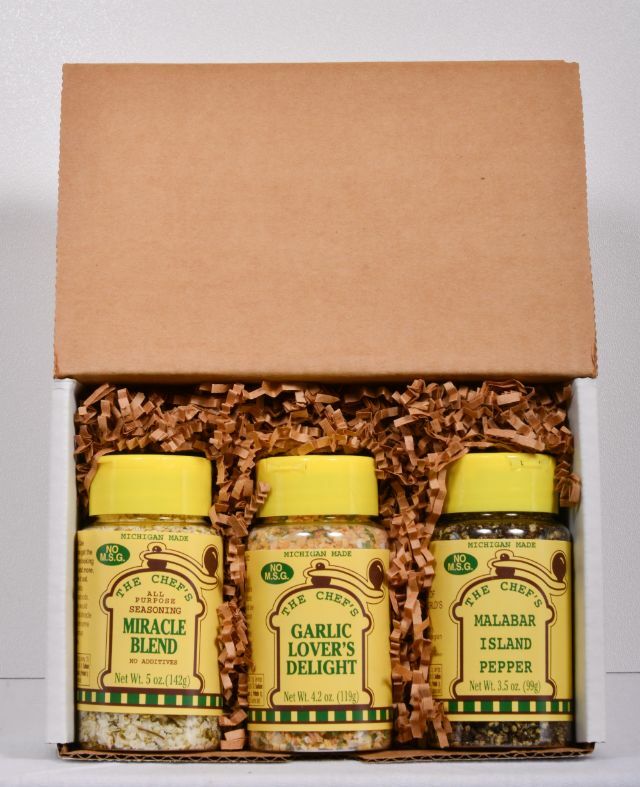 This box includes Miracle Blend, Malabar Island Pepper, and Garlic Lovers Delight. 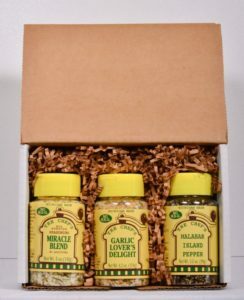 These are all what we consider our “basic staples”, what every kitchen needs. $16.97 value for $15.50!